A colorful backdrop with rays shooting forward and floral decorative elements framing it. Rainbow like colors make up this background with cool lighting effects completing it. Download as AI and PDF for your collection. 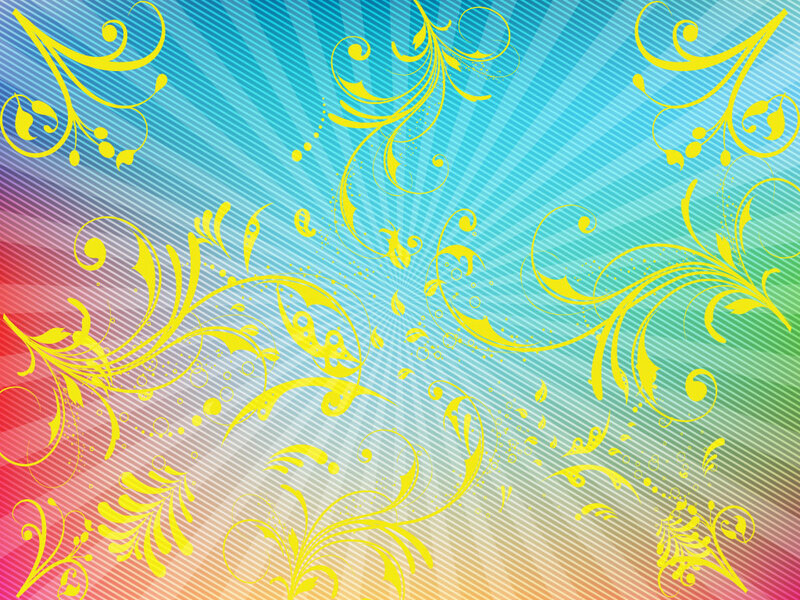 Tags: Colorful, Filigree, Floral, Flourish, Lighting, Rainbow, Rays, Scrolls.